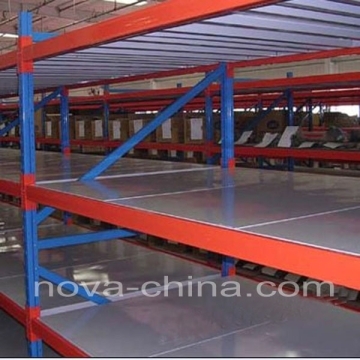 1.Medium-duty shelf is made up of upright, beam and layer panels ect. 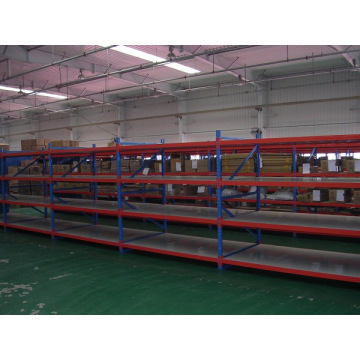 2.The shelves can easily be set to any height individually, so as to satisfy the operating requirements for different sizes of goods. 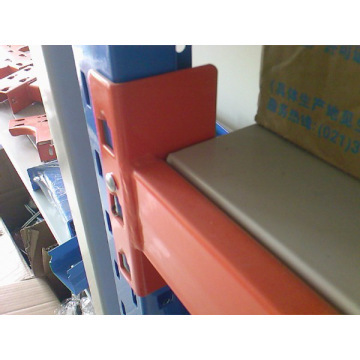 3.This type of rack has good loading ability and can be assembled and disassembled easily. 5.The horizontal beams do not require bolts as safety locking pins are included. 6.Apply to handle the medium goods by manpower. 7.Low cost, high safety and smooth surface. 8.Extendable:This is a main self-supporting bay which you can extend by adding as many extra add-on bays as you require. Our factory is located in Nanjing China and occupies about 60,000sqm. If any enquiry,please email to vickyguo@nova-china.com.